Huawei brand Honor has revealed it's set to launch its Honor 6X smartphone in India in late-January. For now, exact India price and availability details are not known. The smartphone was launched in three variants in China back in October. To recall, the biggest highlight of the Honor 6X is its dual camera setup. The three variants launched in China were - 3GB RAM/ 32GB inbuilt storage, 4GB RAM/ 32GB inbuilt storage, and 4GB RAM/ 64GB inbuilt storage, priced at CNY 999 (roughly Rs. 9,900), CNY 1,299 (roughly Rs. 12,900), and CNY 1,599 (roughly Rs. 15,800) correspondingly. It's uncertain which variants will make their way to India. The Honor 6X was launched in Gold, Silver, Grey, Blue, and Rose Gold colour variants - which of these will be made available in the country remains unknown. 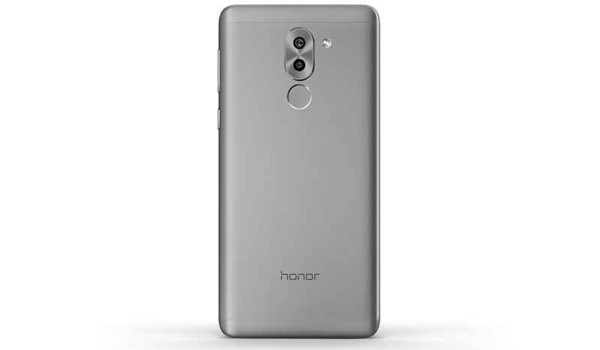 The smartphone features several upgrades over the Honor 5X, sporting a 5.5-inch (1080x1920 pixels) full-HD IPS display with 2.5D curved glass protection; a Kirin 655 octa-core (4 cores at 2.1GHz + 4 cores at 1.7GHz) SoC, and a hybrid dual-SIM (Nano-SIM) card slot, with support for microSD cards (up to 128GB) in the second SIM card slot. Running EMUI 4.1 OS based on Android 6.0 Marshmallow, it sports a dual rear camera setup with one 12-megapixel sensor that supports PDAF and an additional 2-megapixel sensor sits right below it. It features a 8-megapixel front camera for selfies. It sports a fingerprint sensor on the rear panel that the company claims can unlock the smartphone in 0.3 seconds. Connectivity options on the Honor 6X include 4G VoLTE, Bluetooth 4.1, Wi-Fi 802.11 b/g/n, and GPS/ A-GPS. The smartphone is powered by a 3340mAh battery with fast charging support. The Honor 6X measures 150.9x72.6x8.2mm and weighs 162 grams.